The BOSU® Balance Trainer is the perfect accessory to compliment a wide range of authentic Pilates exercises. Incorporate the Balance Trainer into mat classes and in conjunction with other traditional Pilates equipment to challenge the most advanced participants or to accommodate Pilates beginners. Pilates movements can be selected and/or modified to benefit from the Bosu’s unique design. 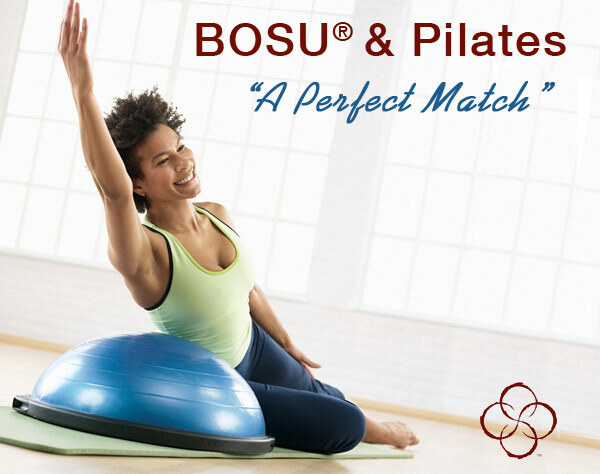 Whether it’s the improved dome-side-up back support or the improved dome-side-down sense of balance, Pilates and Bosu are the perfect match (classic Pilates with a definite increase in control, stability and neuromuscular challenge). The BOSU® Balance Trainer when used with Pilates Exercises can induce neuromuscular responses, fully engaged multi-segmental musculature, and assist in the development of core and joint stability in a way conventional machines cannot. Always look for the original and best – HQH Fitness are the New Zealand Distributors of BOSU Products – please view our range of BOSU products and education here – BOSU®. Further BOSU workshops planned for 2014 – including Pilates application, lower limb rehabilitation and more – register your interest today! Beware of imitation BOSU Products – they are not suitable for commercial use and can be unfit for a lot of applications. This entry was posted in BOSU, Functional Training, Pilates by HQH Fitness. Bookmark the permalink.